How much will Tafaders charge and why do I need them? Tafaders operate on a “NO LET, NO FEE” basis. Only when the property is let will you be charged. Charges are scaled between 9% and 14% of rental income depending on the level of service you require and there are no hidden costs. You may wish to let but manage the property yourself but this can be costly in terms of time and expense - especially for the portfolio landlord/landlady and the overseas investor. How does Tafaders decide the rental value? Your Tafaders lettings consultant will provide you with comparable rents for similar properties they have let or are currently ‘to let’ in your area. Rents are often influenced by the popularity of the area as well as the location, transport links, schools, bars and restaurants. Also any improvements and the decorative standard all contribute to what is known as a “competitive market analysis”. The valuation will be given to you in writing. If you wish to try for a higher rent you can ask your Tafaders lettings consultant to test the market for you, but this may mean it takes longer to get a letting offer therefore increasing the potential void period. 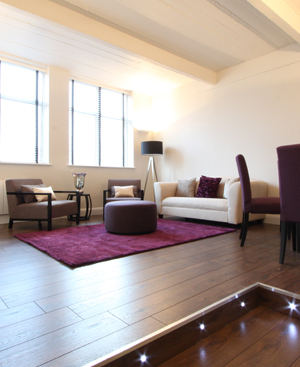 We will accompany all viewings during our office hours, 9am-6pm, Monday to Friday and 10am-2pm Saturdays. We also conduct viewings out of hours or at weekends by appointment. As we will accompany all viewings there is no need for you to be there too, in fact prospective tenants often feel more relaxed when the owner is not present. Should I leave the property furnished or not? Your Tafaders lettings consultant would be pleased to advise you on this matter as market trends within areas can differ. It would be advisable to be flexible on this issue as levels of furnishings and decoration can affect the offers you receive from potential tenants. You will however be required to provide ‘white goods’. How do Tafaders vet tenants and obtain references? Tafaders will employ an independent credit referencing agency to commission a full credit profile on the tenants. They will obtain proven income and where possible a written reference from a previous landlord. We will establish each tenant’s ability to pay the rent, good payment history and whether the tenant has caused dilapidations in the past. Your Tafaders lettings consultant will be able to advise you further. What if the tenant doesn’t pay the rent? Tafaders will market the property to high quality tenants and vet them extensively before they move into the property but it can never be guaranteed that tenants will pay the rent. Your Tafaders lettings consultant will vastly reduce this risk by using the correct form of tenancy agreement, a more than adequate deposit and if we are to collect the rent for you, we have clear accounting and management systems in place to demand any unpaid rent. How much is the tenant's deposit, and what happens to it? Typically this is six weeks' rent and is payable upon the signing of the Tenancy Agreement. The deposit will then be registered with a tenancy deposit protection scheme within 14 days. Prices vary depending on the size of your property, however, we can organise an inventory on your behalf. Tafaders will assist you with all legal requirements, especially those concerning the arrangement of safety certificates by qualified and insured contractors. Aside from the EPC certificate that is required before marketing the property, a copy of a valid landlord’s gas safety certificate must be provided to the tenants before they move into the property as per the Gas Safety (installation and use) Regulations 1994 (as amended). This Act of Parliament requires the landlord of residential property to have all gas appliances and their associated pipe work to be tested annually. It is a legal requirement that this certificate is issued to the tenants prior to their taking possession of the property. In addition you must leave instructions for the safe operation of the appliances e.g. instruction manuals for boilers etc. This is in compliance with the General Product Safety Regulations 1994. Furthermore all furnishings will need to be compliant with the Fire and Furnishings Regulations 1988 which is mostly applied to the fillings of soft furnishings etc. They need to be match/cigarette resistant and not to emit fumes and toxic emissions in case of fire. Please consult your Tafaders lettings consultant for more advice on these matters. What is property management and can I do it myself? Property management is where you’re agent looks after all aspects of the property and the tenancy. Property management is useful if you don’t live near the property or have other commitments. It could be that you prefer not to communicate with the tenant and just see the tenancy as a transaction in your investment. Your property manager takes from you the day to day responsibilities as a landlord/lady and deals with any issues that can arise during the tenancy e.g. security or minor maintenance. Even mundane issues can be time consuming and sometimes have to be dealt with out of hours, such as administration of payments, statements, accounts, warranties, rent arrears, property inspections and repairs to name a few. When choosing Tafaders your property manager is readily accessible by phone or e-mail or you can even arrange a personal visit.